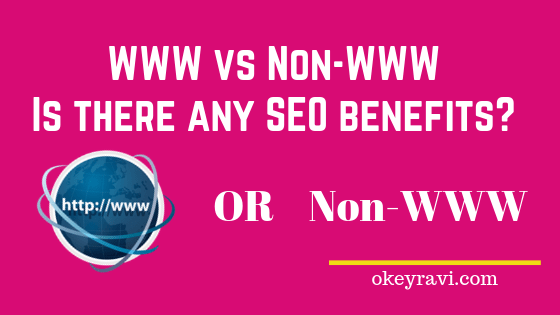 WWW vs non-WWW which is better for SEO? Is there any SEO benefits of using WWW? Non-WWW to WWW redirection using Htaccess file. We will discuss all here. See which is beneficial to use WWW or Non-www. But It’s an individual choice, there is no any SEO benefits.